The beauty of a crack or a broken handle goes unnoticed. 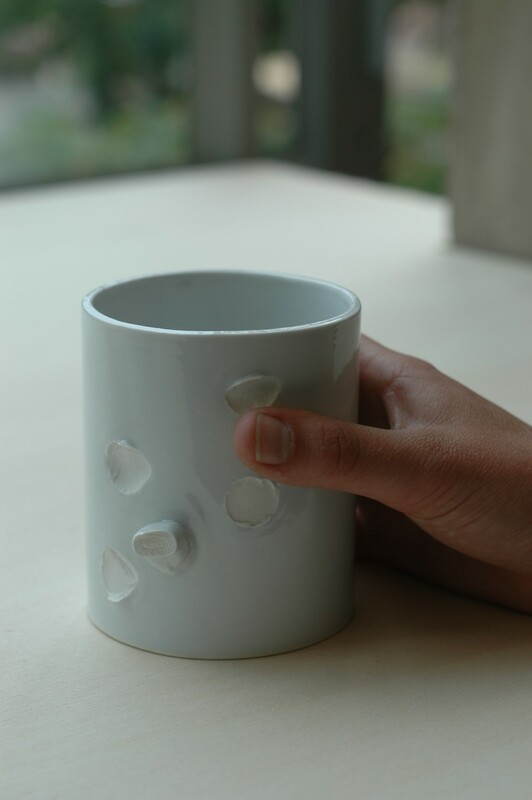 A mug without its handle functions at best as a pencil or brush holder. 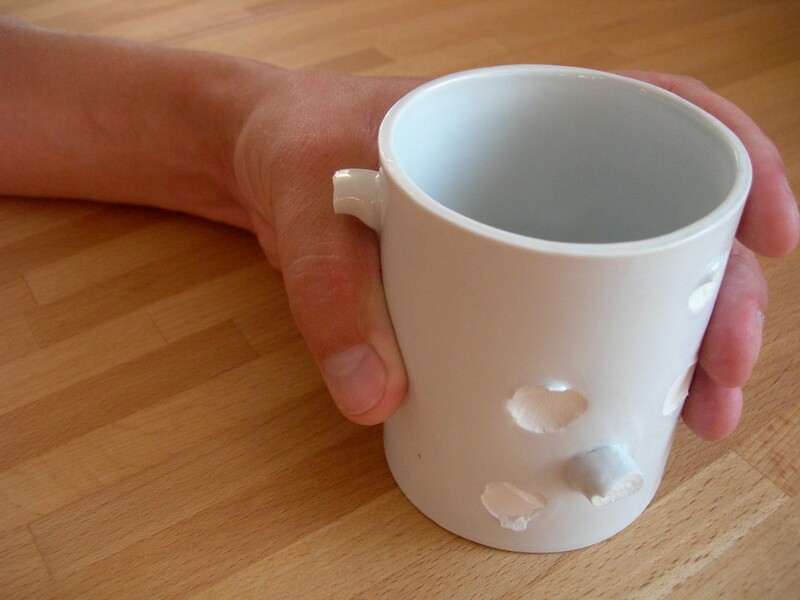 This mug, which has several handles missing, combines all kinds of scenarios.